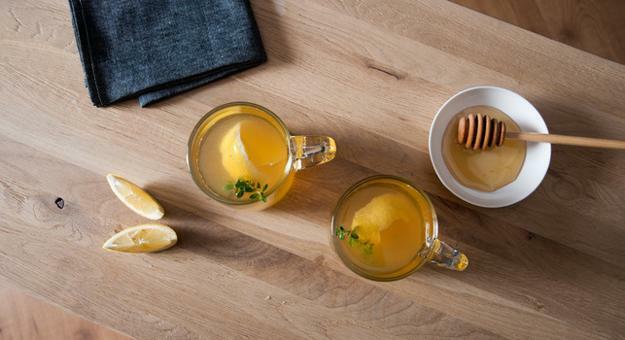 Modern kitchen colors are available in a wide variety of cool and warm hues. Light gray, creamy white, pale blue and off white are some of modern kitchen colors which can be used for new kitchen design or old kitchen redesign. 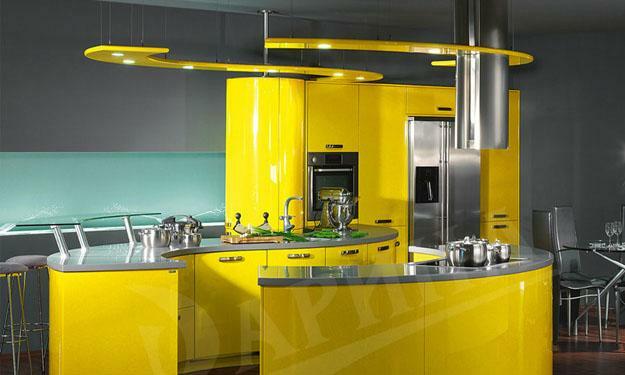 Lushome collection of modern kitchens in yellow color is for all people who love the happy, optimistic and bright golden yellow and sunny yellow color shades. 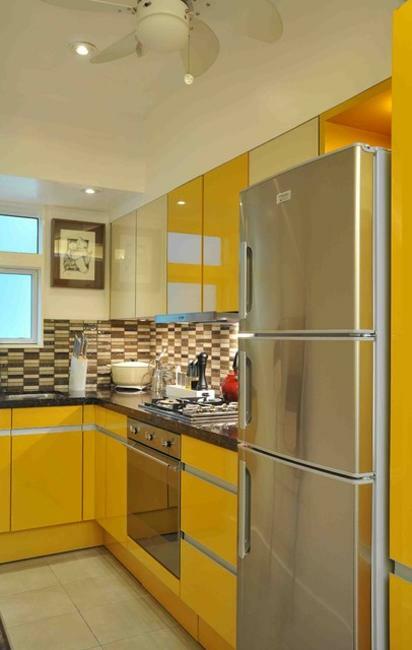 These kitchen colors are available in many shades also. 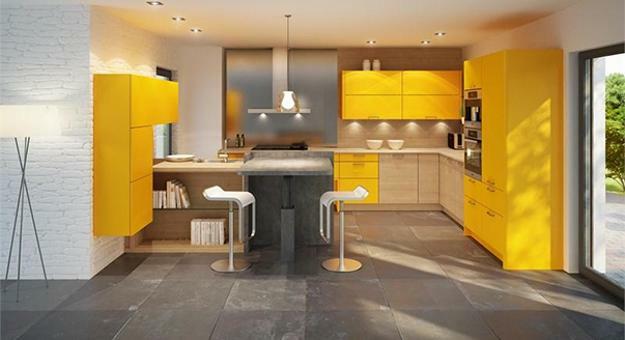 Trendy yellow color shades look gorgeous with all neutral colors and many cool kitchen colors, allowing to personalize modern kitchen design and decorating. 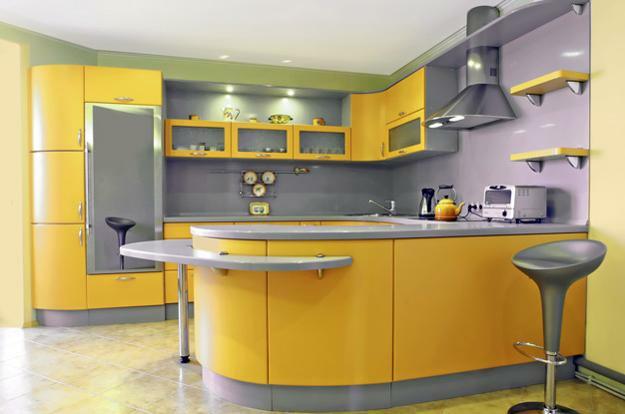 Today people are opting for very stylish, unique and pleasant kitchen colors like yellow and golden colors that can be combined with all neutral colors, brown colors, red, orange, green, blue and purple colors. 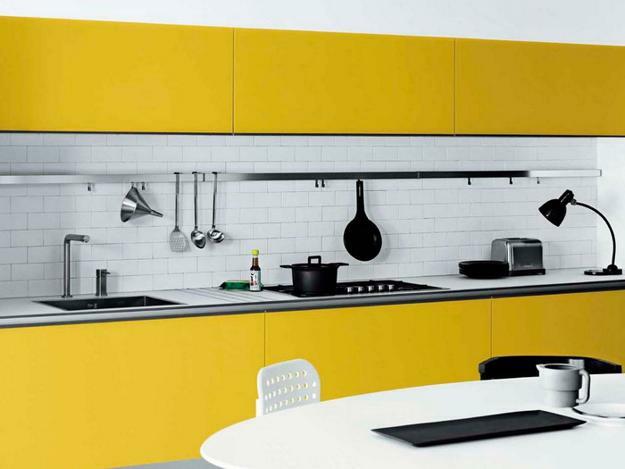 Modern kitchen wallpaper designs and washable interior paint help create truly unique kitchen interiors or brighten up them with kitchen furniture in yellow color. 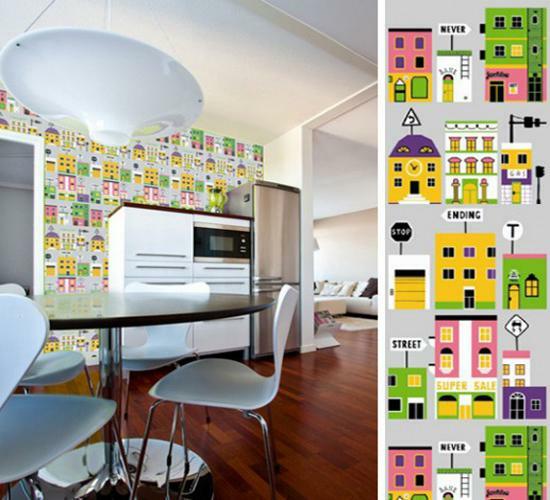 Modern wallpaper and washable interior paint, contemporary materials used for kitchen furniture are durable and beautiful. 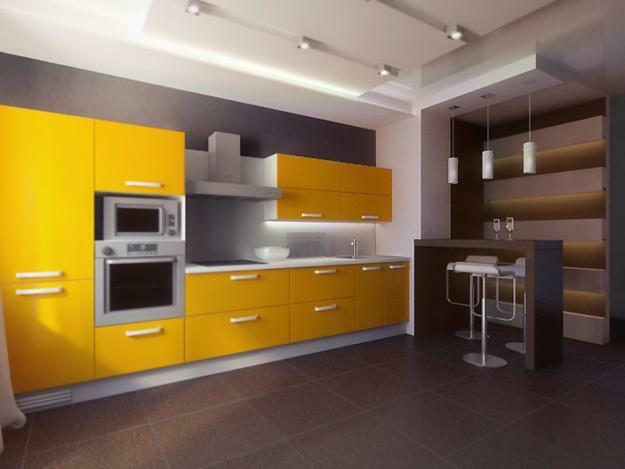 These kitchen design and decorating materials last for longer period of time and can bring rich golden colors or happy yellow color shades into homes. 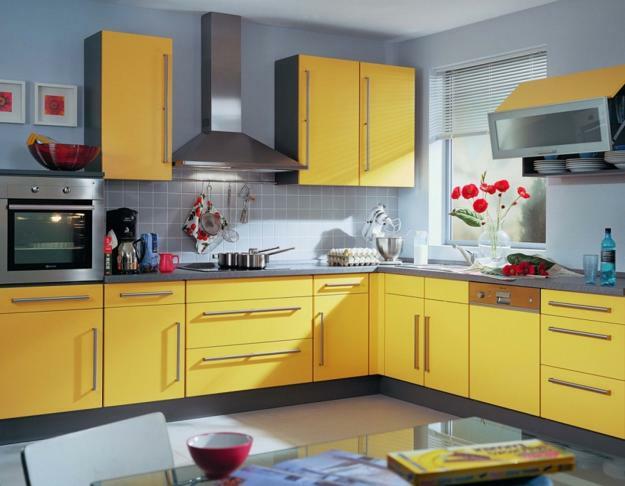 The kitchen cabinets in yellow color can be one of the major part of your new kitchen design or old kitchen redesign project. 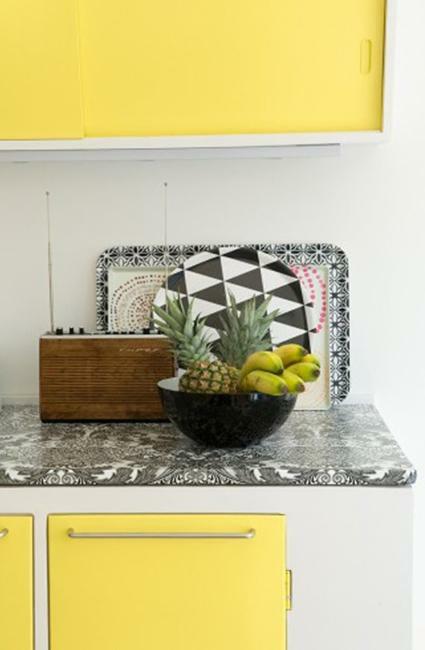 Yellow wall paint or wallpaper designs are another way to spruce up white kitchen wall decor. 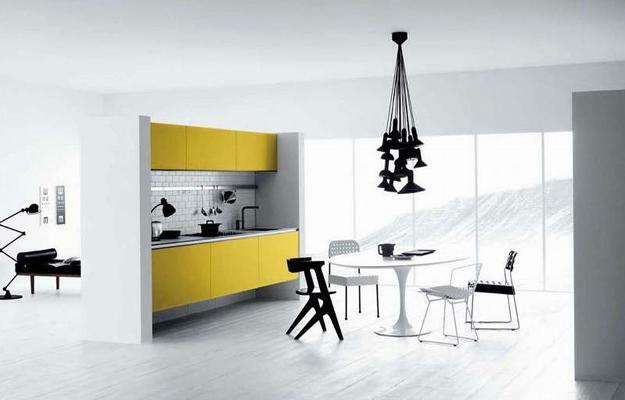 The wall design color in light shades and polished kitchen cabinets create spacious and bold kitchen interiors. 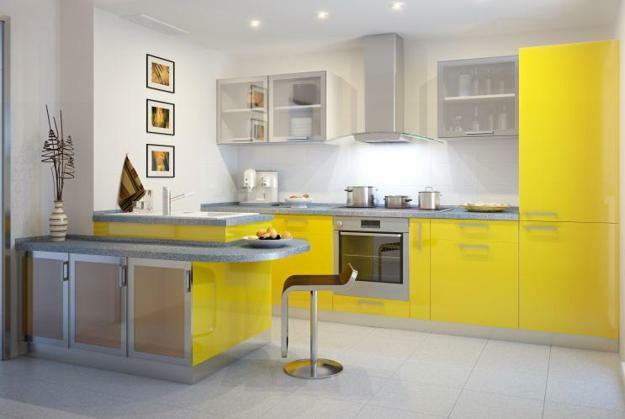 Kitchen design in light yellow color looks wonderful with all lighting fixtures and in natural light. 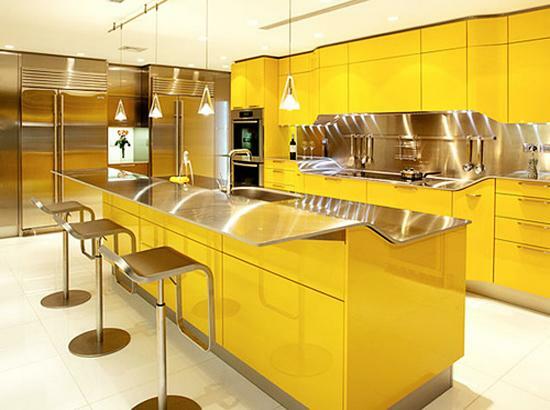 Rich golden colors and middle dark yellow color require bright lighting design. 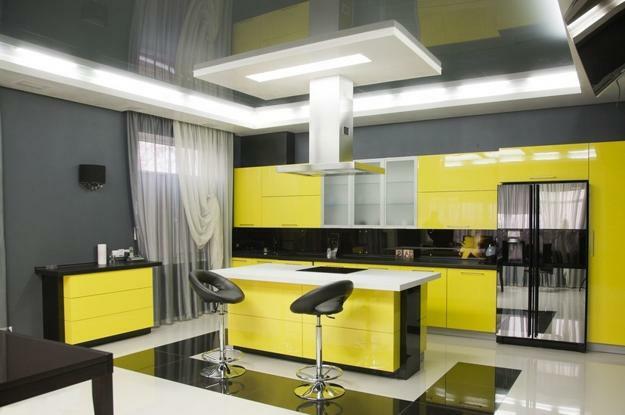 If you are using the yellow color for your kitchen design and decorating, especially for wall paint, wallpaper designs or kitchen furniture, then do not go for yellow light. 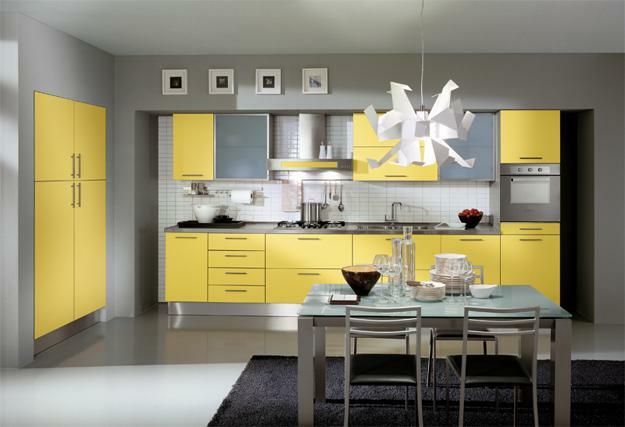 The white lighting look beautiful and balanced with kitchen furniture or walls in yellow color. 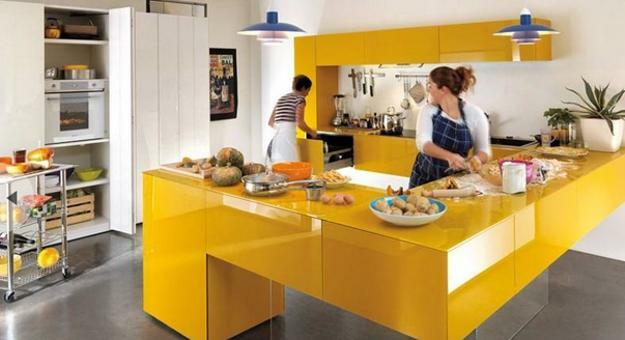 Modern kitchen colors in yellow part of the light spectrum are associated with comfort. 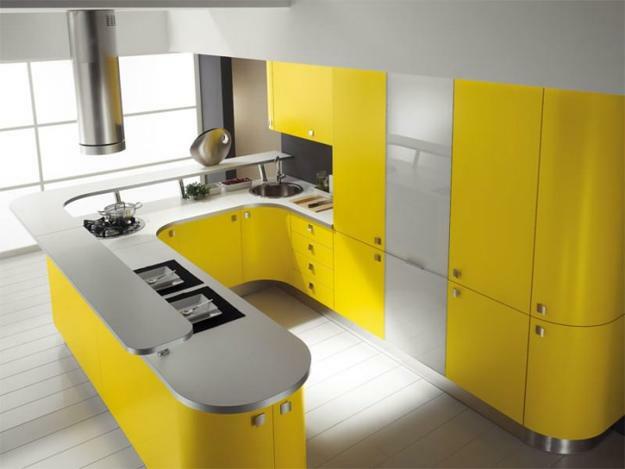 Honey, cream, lemon, banana, pineapple, grapes and apples in yellow colors are delicious inspirations for modern kitchen colors. 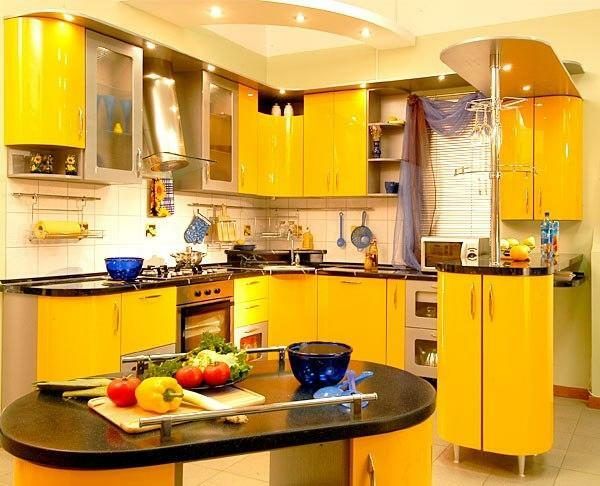 It is important to find the yellow color shade or tone for your kitchen design and decorating which matches the rest of your home in open home interiors, where a kitchen is connected to a dining room and living room. 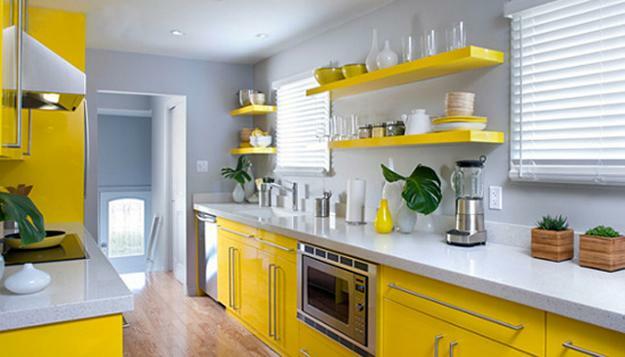 Also your kitchen colors have to reflect your personality. 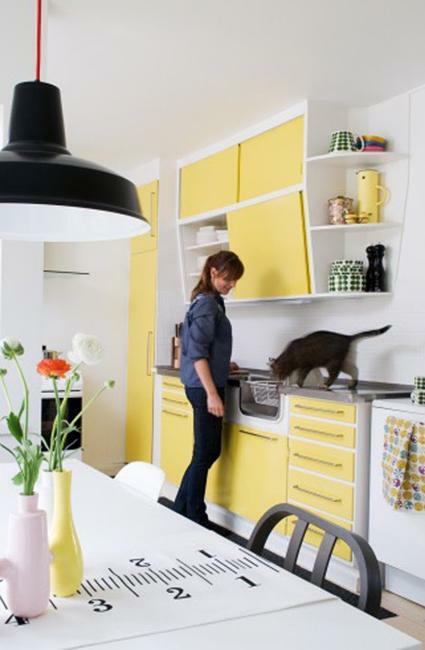 Selecting yellow color for your new kitchen design or old kitchen redesign is very personal, but there are some of the things to consider. 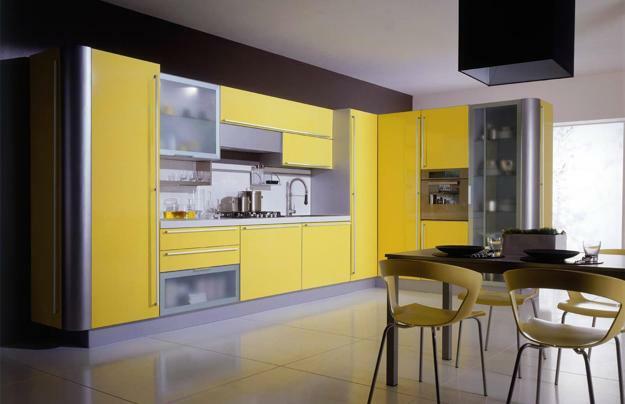 These beautiful kitchen photographs with yellow walls and kitchen furniture in yellow color provide great inspirations and tips for selecting and matching the kitchen colors you like. 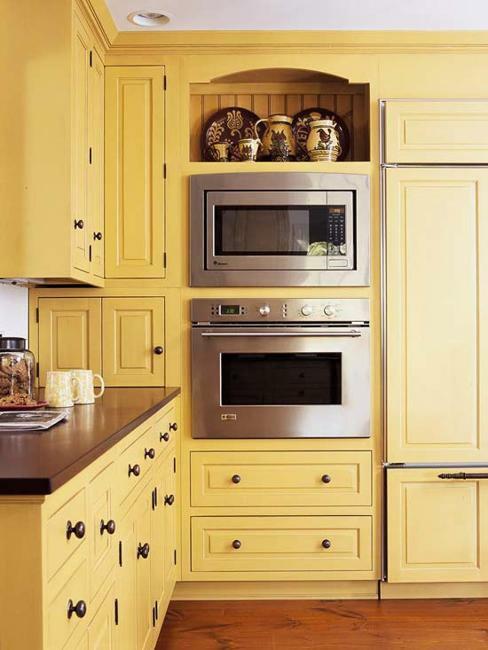 Golden colors and happy yellow color shades are modern trends in decorating kitchens, and the collection of kitchen photographs helps get the right color combination, kitchen furniture and wall decor for your kitchen design project.